Each year, we interview a few seniors about their college, their Bryn Mawr experience, and what they are looking forward to in the next step of their education. 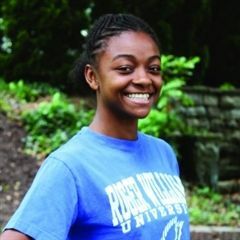 Check out the profiles below to hear from seniors directly about why they chose their college or university, and how Bryn Mawr helped to prepare them. 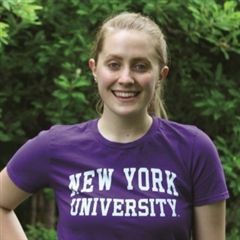 "Bryn Mawr pushed me in ways that I don’t think I would have gotten anywhere else. It’s made me a confident human being. It’s made me realize I am strong and have the ability to do whatever I want to do." "This has been my home for 13 years and it’s crazy to think I’m leaving it behind. I’m going to miss the people, that’s what makes Bryn Mawr so special." 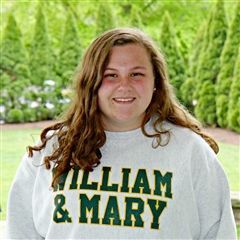 "Bryn Mawr has definitely taught me to advocate for myself and to put my hand up. 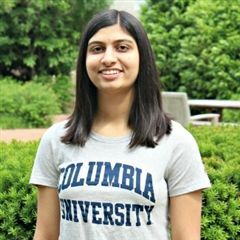 I’ve chosen a male-dominated field, but Bryn Mawr has has prepared me to be confident, not intimidated." "Bryn Mawr has been my home-away-from-home for 13 years. I will miss the intense love of learning, hard conversations and female empowerment the most. Bryn Mawr creates a mentality in its students that learning for the sake of creating and growing is just as important as the grades we receive. It also teaches that having the hard and at times uncomfortable conversations is necessary for growth." 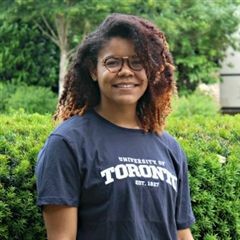 "My teachers and classmates at Bryn Mawr are the most passionate and caring people I’ve ever met, and I love the energy they bring to this community. I’ve also found amazing friends at Bryn Mawr, and I’m really going to miss seeing them on a daily basis." "My dad and both of my siblings played sports in college, and sports have always been such a defining part of my life. Sports, and specifically lacrosse, have taught me that any success must be earned. It has fostered a work ethic that is transferable to the classroom and the workplace. I am not the tallest or fastest athlete, but that only makes me work harder. The idea of working to earn everything has really been ingrained into my identity by my family, coaches and teammates." "Working with the robotics team over the last three years I’ve learned about perseverance, resilience, creativity, hard work and determination. But most importantly, I’ve learned a lot about leadership and teamwork, skills that will definitely help me in college and in life." "I am so proud of our Senior Convocation tradition. Our senior speeches give us a platform to talk about things that matter to us and share them with the community. There have been so many amazing speeches this year, and I always learn something new about my peers. I hope this tradition never changes because public speaking is an important skill to have and it epitomizes our bold voices as Bryn Mawr students." "I’m kind of in this state of awe and wonderment at the opportunity that comes before me. And now I’m really excited, not just because I got in, but because I have so much work to do – and I have the resources to do that good work." "I know that I can go into a class that is coed and not be afraid to speak my mind and voice my opinions." 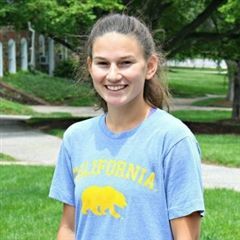 "Bryn Mawr has given me the courage to speak my mind and develop an argument and reasoning behind the words that I say and the things I believe." "I feel that I’m a completely different person, in a very good way, than when I started at Bryn Mawr. I'm much more confident and able to advocate for myself, which is important in college and in life." Shaelyn Rhinehart came to Bryn Mawr in first grade. 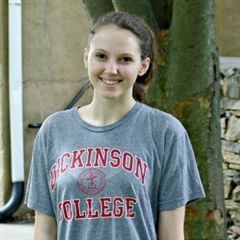 Next year, she will be attending the University of Rochester, where she plans to pursue cognitive neuroscience and music. 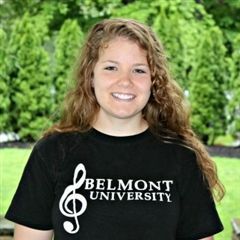 Read about Shaelyn's Bryn Mawr experience, and her plans for the future. Tori Gumtow '14 came to Bryn Mawr in seventh grade. 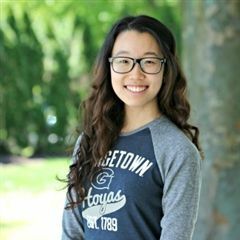 Next year, she will be attending the Georgia Tech to follow her passion for Computer Science. 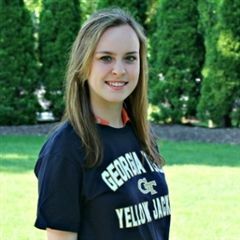 Read about Tori's college process, what her Bryn Mawr experience was like, and why she chose Georgia Tech. 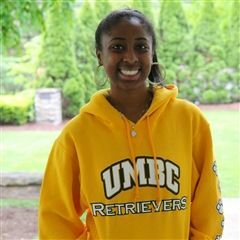 For Jahaan Amin '13, the college search process was about finding the right balance between her passion for dance and her desire to get a well rounded education. Her answer is a gap year, during which she will dance professionally for a talent agency based in Los Angeles. 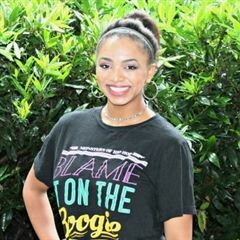 Afterward, Jahaan will head to Loyola Marymount University in LA, where she plans to study psychology. For 19 members of the Class of 2013, the college experience will include playing a competitive sport. 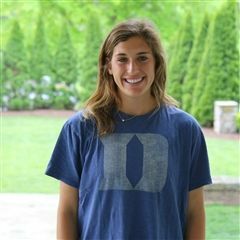 Among them is Ellie '13, who will play lacrosse for Princeton University. 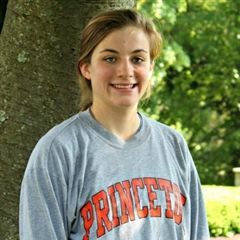 Ellie appreciates that at Princeton, athletics and academics don’t conflict—each day, there is a dedicated 3-hour block of time allotted for her lacrosse practice. 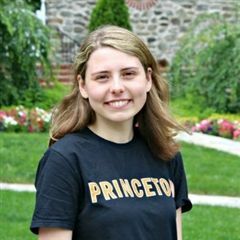 Read more about why she chose Princeton. 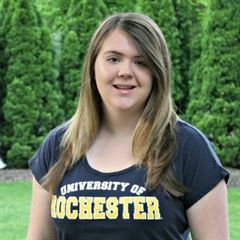 Lucy Roland '13 knew exactly what she was looking for when she started the college search process: a big school in a warm climate. And as a huge fan of Spirit Day, she knew that she wanted to go somewhere where school spirit is important and everyone rallies behind the football team. 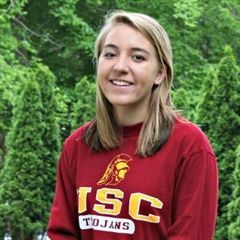 Though she applied to 14 schools, a visit to USC helped convince her that it was the right place for her. 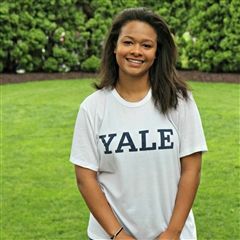 When Tate DeWeese '13 started looking at colleges during her junior year, she narrowed down her list of prospective schools to five places that had two things in common: great academic reputations and field hockey teams. 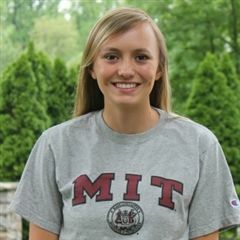 She will attend MIT, where she will be able to pursue her interest in engineering and also her passion for hockey. Tessa Babcock '13 always had a hunch that she would pursue music in college. Her mother was a musical theater major and her father a professional trumpeter for the Naval Academy, so music was an integral part of her childhood. 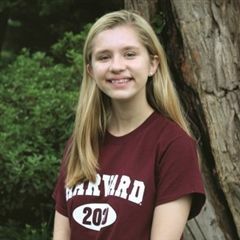 While at Bryn Mawr, Tessa was a member of Dayseye, the selective junior and senior singing group.